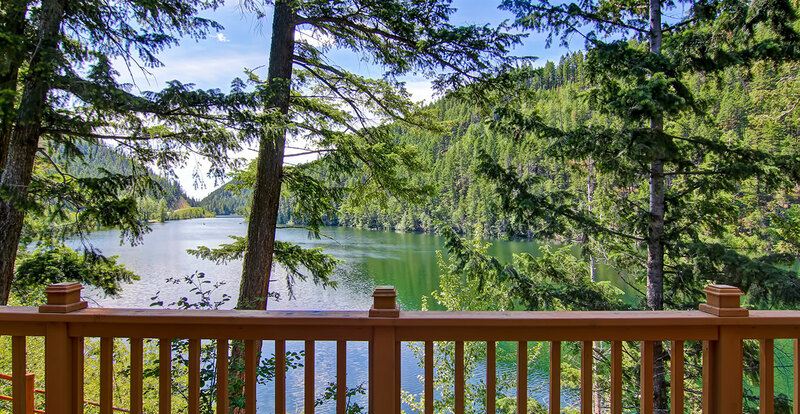 Come and enjoy some peace and quiet at Pillar Lake Resort, one of the best B.C. resorts in the Okanagan. 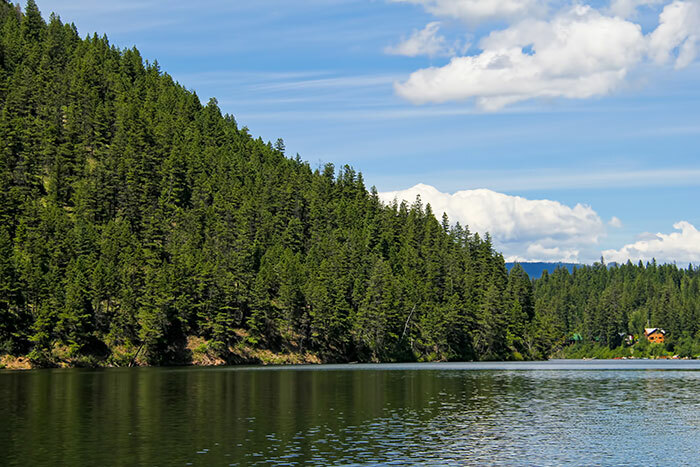 From cabins to RV sites to camp grounds, Pillar Lake Resort provides clean, comfortable accommodations right on the lake and great resort amenities to make your stay here unforgettable. At Pillar Lake Resort, we promise you an unforgettable lake-side experience that won’t break the bank. 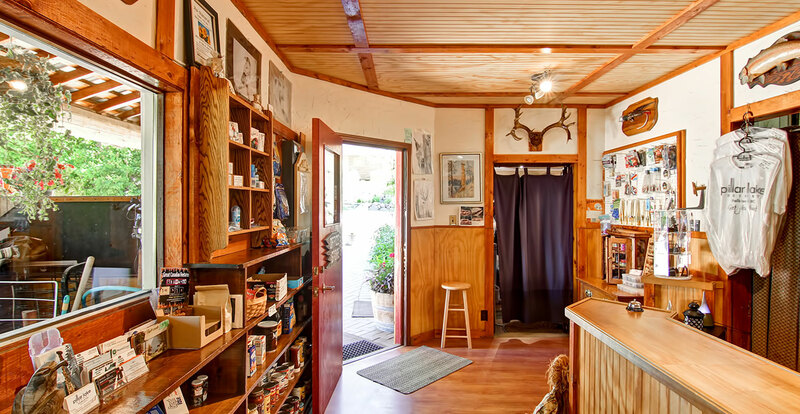 Park your RV, pitch the tent, or get settled into one of our charming log cabins right on the lake, with affordable nightly rates and boat rentals. Push off our dock in your own boat (10 hp or less is allowed on the lake) or take advantage of our on-site boat, kayak, canoe and pontoon rentals. For a little fun on land, choose between a gorgeous hike, bike or quad trip on the nearby trails, hit up the children’s play area with the little ones or try your luck with a game of horseshoes. The lake also offers amazing fishing. Our on-site convenience store is always well-stocked with the day-to-day necessities, including breakfast cereal, eggs, butter, pancake mix, syrup, canned goods and sauces, pasta, chips/salsa, pop, chocolate bars and frozen treats, as well as toiletry items. Pillar Lake Resort features a small meeting room for guest use. The space accommodates up to 25 people comfortably. Pets are welcome at Pillar Lake Resorts. Campfires are also allowed, unless a regional campfire ban from the provincial B.C. Wildfire Service has been issued. Please check with resort staff. Located along Highway 97 between Vernon and Kamloops, Falkland is a quaint town with about 600 full-time residents. 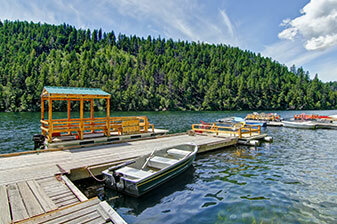 Pillar Lake Resort is just a 15 minutes’ drive from the town of Falkland. 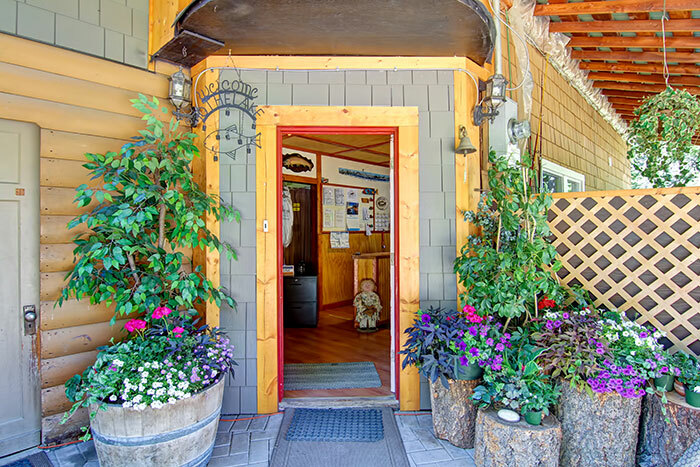 After an amazing day exploring nearby hiking, mountain biking and quad trails or taking on some lake activities, you can throw together a delicious meal in your RV or cozy cabin or take a five-minute walk into town for a dinner out. 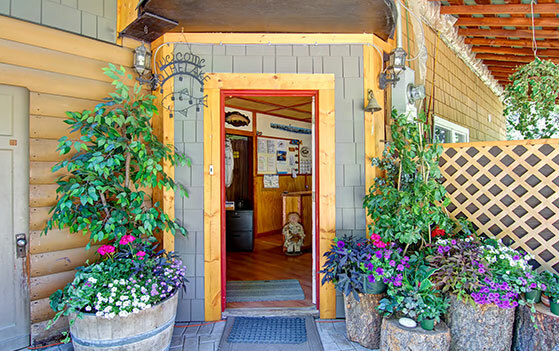 Our lakeside retreat is approximately one hour’s drive from dining, shopping and entertainment in Kamloops, 35 minutes from Armstrong and Vernon, and just half an hour from Chase. 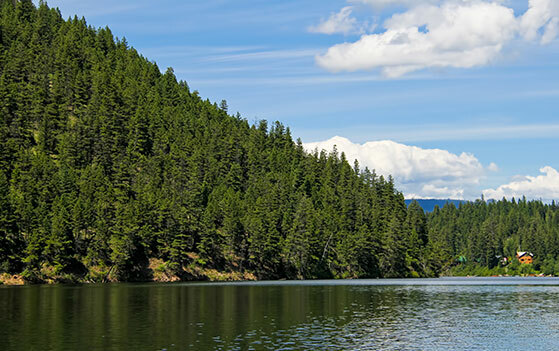 Pillar Lake provides a good Rainbow Trout fishery up to 2+ pounds. Fly fishermen have the most success at the north end of the lake in the large shoal areas, where the spring and summer months see a good emergence of Chironomids, Caddisfly, Damsels and Dragons. Trolling small lures, flatfish and spinning gear also meet with good success. You will need a fishing license to fish Pillar Lake - you can get one online at www.fishing.gov.bc.ca. 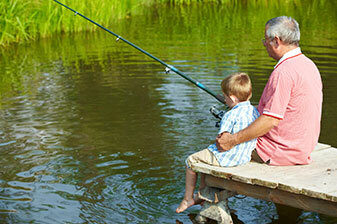 Otherwise, Pillar Lake Resorts has everything you need for a quiet day on the lake, including tackle and bait. 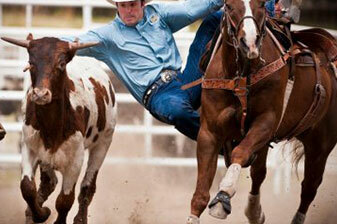 Each year over the Canadian May long weekend, local Falklanders host the Falkland Stampede. Going strong since 1919, this event brings all the greatness of a big-time professional rodeo to this charming small town for a unique rodeo experience you won’t soon forget! Falkland is also a great place to be on July 1 - Canada Day. Home of the country’s largest flag, Falkland marks the day with a Torch Light Parade and other family-friendly celebrations. Other annual community events in Falkland include Daisy Days in August and the International Dog Sled Races in January.